I was fascinated by a blog post I read a few days ago from author Ali Isaac. I believe we often suddenly read something that totally connects to our thoughts and passions we are experiencing moments before we read It. Does anyone here have the experience of humming or singing a song, then turn on the radio and the song is there exactly where we are singing it? Happens to me often. Same with reading. These experiences can even feel like a divine messenger, a verification of our inspirations and thoughts. 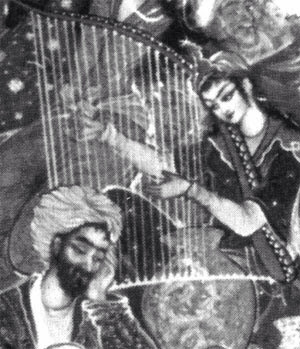 Ali introduced some basic, yet profound, mythology about ancient harps. 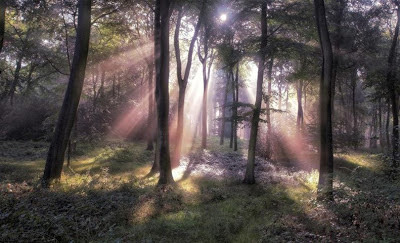 I would like to explore how this links to our divine relationships to wood and water. 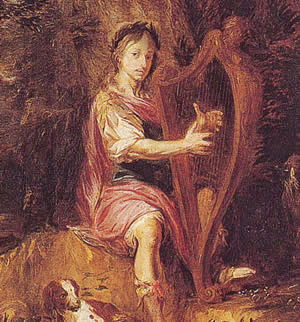 First, we seem to be stuck with the Saxon origin word 'Harp' that some folks say comes from 'hearpe' or 'harpa', generally a word to describe 'to pluck'. I do prefer the lesser known names that distinctly refer to the angled and bowed wood harps to separate it from the lyres, Aeolian harps, psalters, cruits, and the harp alternative name for harmonica. 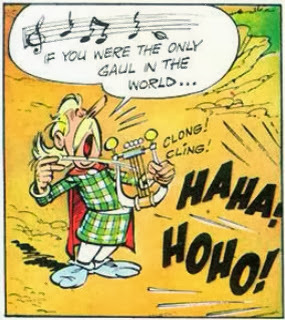 These lesser known names include clairseach, though clarsach is a popular name for a folk harp now, especially in Scotland. Sometimes 'cruit' or 'chruit', with several pronunciations that vary from "crewt" to "hroosh", is a name applied to small clarsachs, but really is a name as vague as its pronunciation. Though I have not seen it written, I enjoy the local name told by a couple of storytellers here where I live, the Coarran, which is said to be either a clarsarch style harp or angular harp like the Iranian Chang. The Coarran is said to have had a rowan frame, a willow sound box, oak tuning keys and strings made from brass, but for chieftains made from silver. 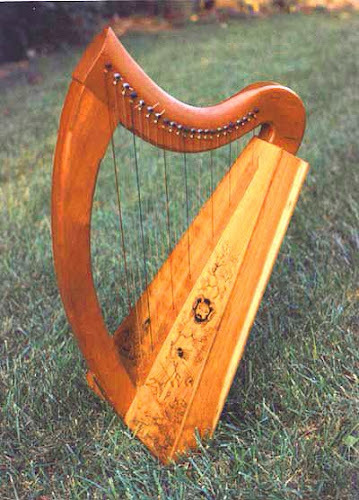 Some stories also tell of the chieftain harps being made from yew, and not called a Coarran but something else. 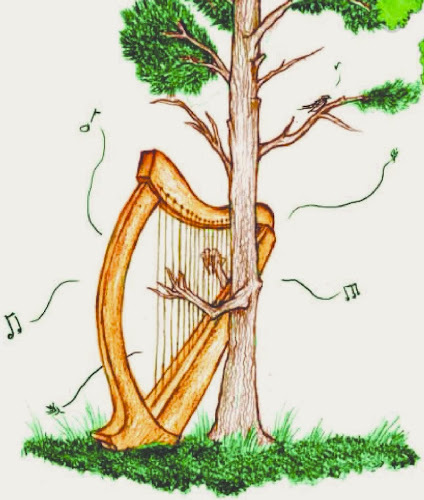 I have heard the word Iohotrai used for a chieftain harp, which does pronounce close to 'Yew Tree', and also has a fragmented translation of 'enchantment through regeneration', also applied to 'complete mastery', or even the complete state of the divine'. Back to Coarran, there are also local tales of a lad called Coarann or Corann who performed all kinds of magic with his harp. 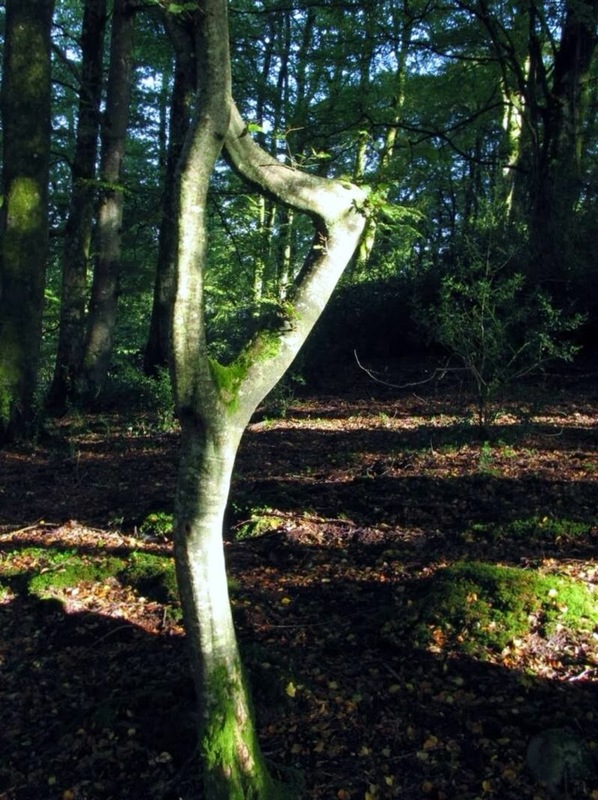 Add to that stories of our modern word Rowan originating from Coarann to express its use as an enchanting wood material for creating harps, or Coaranns. Lots of gateways to thought there. 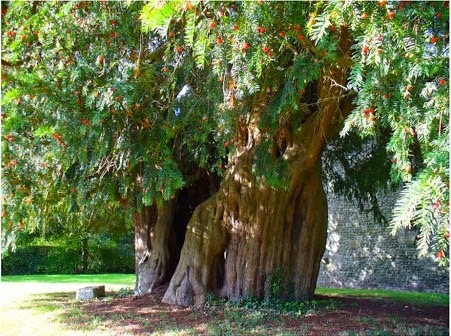 Back to the tree, the Rowan word is also said to come from a variety of Norse and Germanic words around 'rönn', which is a kind of description about the conversion to red, the berries of course. The word is also related to the first woman created on earth, and her menstruation cycles. Ali makes reference to the Tuatha De Dannan as being a fairy, sidhe or sióga race, a semi divine, maybe half human and half god or goddess race that ruled, or maybe better said, to have guided Ireland 1000s of years ago. 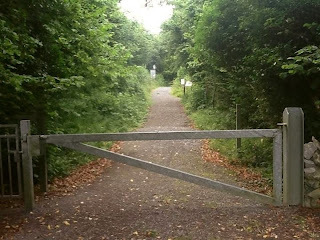 There is another set of stories connected to the Tuatha De Dannan as being the bringers of farming, but those are indeed not so blessed, and for another topic. Ali reminds us that we have a legacy in myth story of the Danann including several famous myth harpists; Nuada, Lugh, Aongus Óg the love enchanter, Cas Corach who I wonder was also Corran, and perhaps the most famous and most told of, the Dagda. 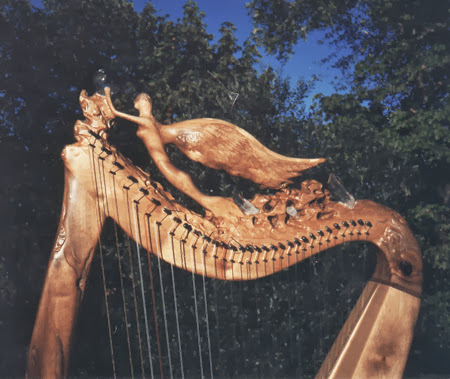 Stories tell of the Dagda’s harp being called 'Uaithne', pronounced in many ways, with examples sounding like 'oyuta', 'oyuda' and 'oywetna'. It is said Dagda's harp was carved from oak, decorated with a double headed fish design, which to me reads like added imagery from the passed 2000 years, and studded with jewelled eyes, which I feel leads it into more negative De Dannan stories around wealth, power and possession. A well told story is of the Fomori stealing the Uaithne so that they could become the controllers of the seasons and win any battle of anyone who challenged them. No Fomorian could work out how to play Uaithne as Dagda had cast a spell upon it so that Uaithne would only play for him. variations of letters and spellings, from around the 6th century until maybe 15th century. It obviously existed as sounds of sound for 1000s of years before that. 'Uaithne' is known to be about 'greening' something, covering in green. Many folks will jump on this and think of the greening of Ireland, but alas in relation to the green fields and mountains today. 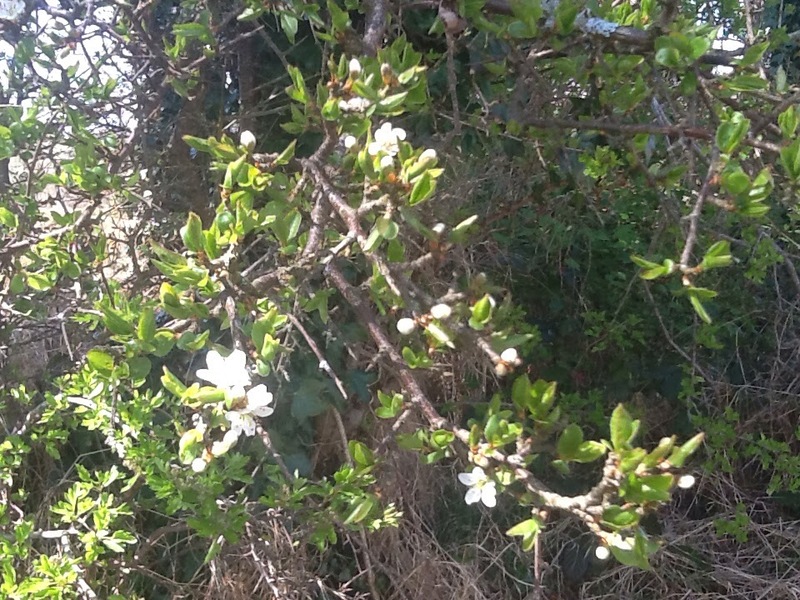 In those days the greening of Erin would have been the opening of the tree buds into leaves. 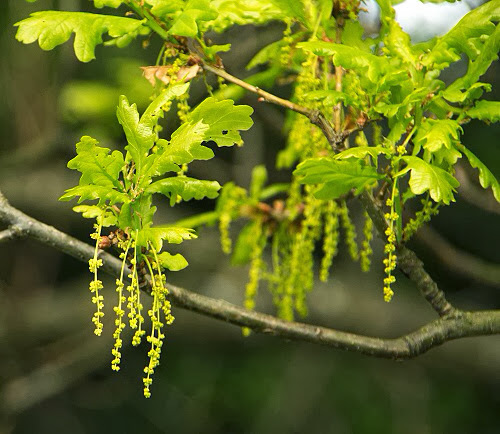 I personally speculate that 'Uaithne' is about the entire divine cycle of budding, blossoming, greening, leaf fall and the fertility this provides for the next budding, greening etc. 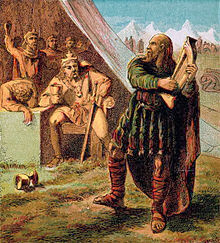 In some stories the three strains of music Dagda performed from 'Uaithne' was also known as the 'coir cethar chuin', roughly pronounced as "corsh cayer cooin", the music of the 'four angles'. I would like to think of this as the four season cycle of the year, and the four season cycle of our life which I resonate over through my Ogma's Tale Of the Trees set. 'Trai', that Ali points out is pronounced as "tree". Coincidence? Wishful thinking maybe, by me, as some scholars will remind me that' tree' comes from Saxon or Germanic 'treo'. Others will claim that our modern word 'tree' has changed its 't' from a 'd' at some point and that 'dree' developed from greekish words such as 'drui', 'doir' and 'dreemos'. These Greekish words are related to middle eastern words that sounds like 'dera'. Of course, 'druid' come out of this as well as ancient words like 'doru' for spear. Even so, this has caused me to consider re-titling the trilogy I am working on to be called "The Trai of Wood and Water" or maybe just "Trai Trilogy"
I have not mentioned much about the water connection in this article, despite the title, but its mighty topical as I write this during a time of Ireland flooding. Ireland has a severely lacking of trees and many people are debating this as a cause of flooding right now. 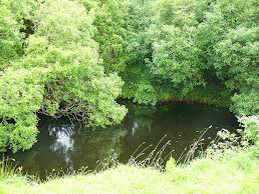 Trees hold water, store it vertically and feed it back down to the ground as needed. Aside from this, though we may not clearly realise it, we do use water a lot for inspiration, divining, cleansing and the symbolism of cleansing so we are both cleaner and clearer. 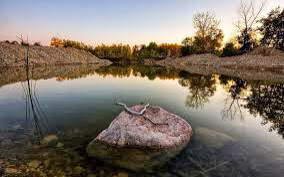 For many of us water is access to the divine and healing. When I perform Ogma's Tale of The Trees without Claire accompanying with her harps I think I do feel a bit like Nuada must have done without his arm. 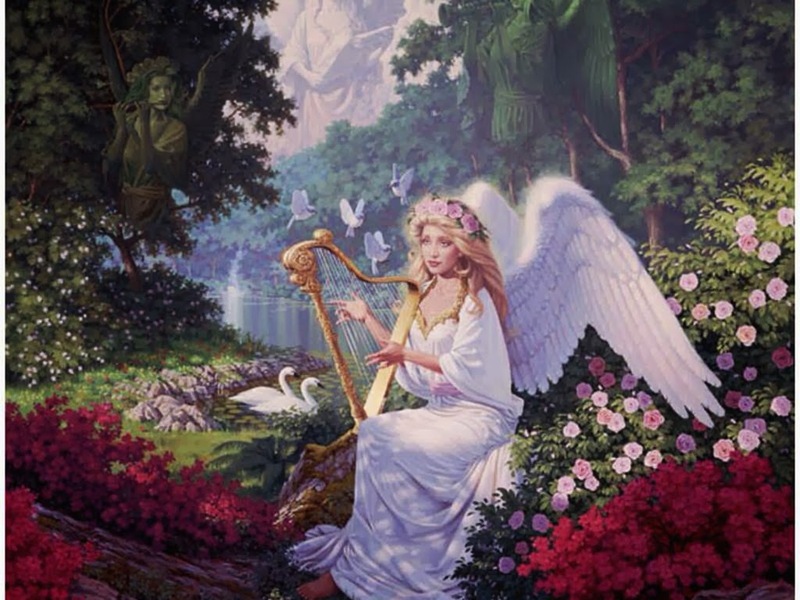 Harps are indeed an arm of enchantment, despite being human created. that we may have lost contact with?